This home is an entertainer's dream! 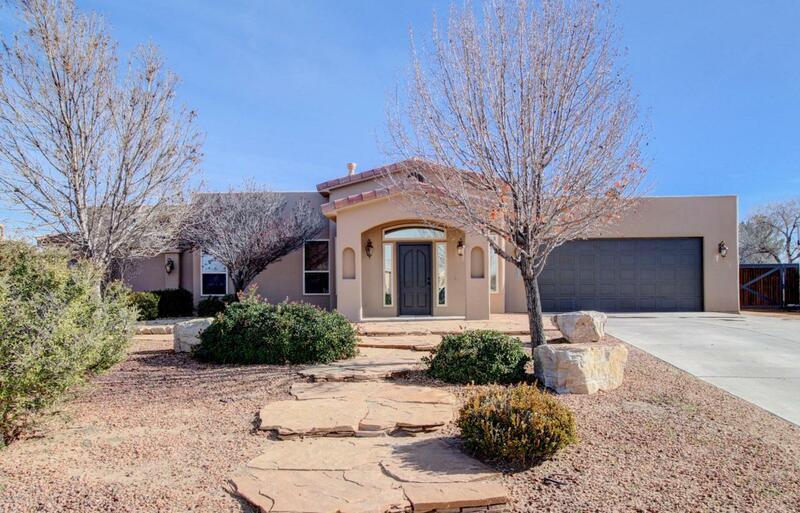 It is located minutes from the Historic Mesilla Plaza in the beautiful Sanctuary subdivision. ~4 bedrooms~3.75 bathrooms~2 car over sized garage~3100 sq/feet~Chef's kitchen with granite, stainless appliances, 4 kegerators, Roll up door on counter for patio entertaining, soft close kitchen cabinets ~Over-sized island ~Built in bar with custom cabinets~Beautiful heated pool w/new pump~East facing covered patio with built in bbq grill and outdoor shower~.51 acre lot~Media room ~Office area off the media room~Double sided gas fire place with stone ~Refrigerated air~Over -sized walk in closet in master bedroom~Master bath has double vanity and Jacuzzi ~Split floor plan~Expansive laundry room~Roof and Stucco restoration in 2018Call for your private tour today!Open house Saturday, 12/15/18, from 11:00-1:30pm!